I attended Tulane University, getting a bachelor’s degree in Biomedical Engineering, and graduating into the post dotcom job market. I was off to Chicago, as an R&D engineer for Loyola University Medical Center; I learned a lot from those first years – especially how to solve hard problems with limited resources and endless creativity. My future also started to crystalize at that point – I knew I wanted to do more than just work in a R&D lab for the rest of my career. I then spent a year getting my Master’s degree in Medical Device Design at the University of Southern California, and while I was there I found myself first involved in the startup world – working at the Alfred Mann Institute, a tech incubator on USC’s campus. There, we were building the BION, an injectable micro-implant. From that team I learned that even though your startup might be small, you can out innovate multinational powerhouses. Back to Chicago after that, to join the world recognized Rehabilitation Institute of Chicago, working on the DARPA Revolutionizing Prosthetics project. This is where I first met the ‘speed reducer problem’ – we had some of the best engineers in the world trying to build a prosthetic arm that was as light, small, and strong as a regular person and the gearbox was always the sticking point. We tried everything – including a couple of curiosities, wolfrom-type compound drives, and traction planetaries – but we never could get those working on a practical basis. That always bothered me, and kept my mind ticking over the years. My next stop was Delft, The Netherlands – a jump across the world. Starting a PhD at 32, developing a new exoskeleton for industry and healthcare. It was here that I had my breakthrough – those ideas planted by the DARPA project almost a decade earlier finally bore fruit, and I invented the Archimedes Drive, combing the wolfrom compound drive with a traction system eliminated their weaknesses, and only left the high points. 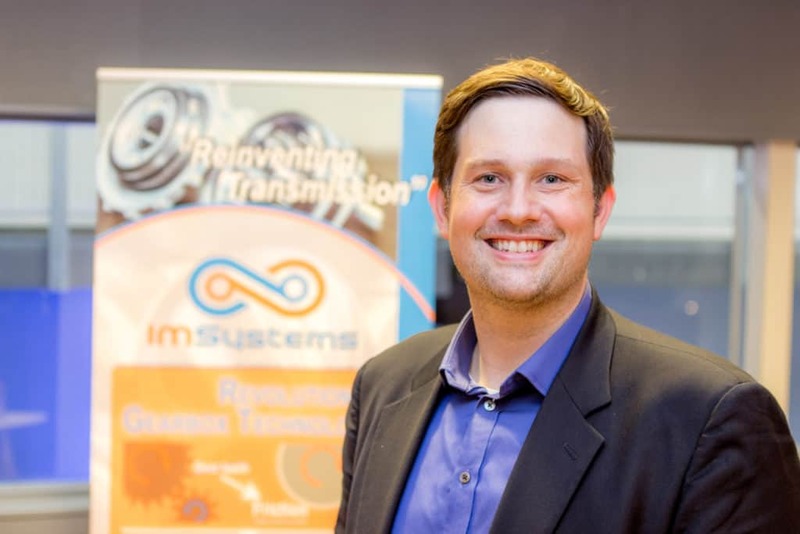 Within six months, I had assembled the first members of IMSystems, and by the end of the year, our core founder group had come together and we had our first funding, courtesy of STW. The rest of the story from this point on will be history, as they say.